I think it is important to inspire young girls. We can do this with a new line of dolls from Project Mc². 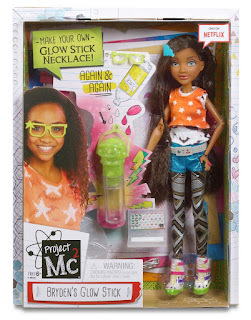 Project Mc² (www.projectmc2.com) is a brand new fashion doll line, featuring four geek-chic dolls, which aims to inspire young girls to be interested in S.T.E.M./S.T.E.A.M. (Science, Technology, Engineering, Arts and Math) education. It proves that Smart Is The New Cool. The line is designed to show young girls that S.T.E.A.M. is all around them – even present within their everyday interests. Project Mc2 Bryden Bandweth with Experiment Kit – Socially savvy tech guru, Bryden Bandweth is seriously #amazeblogs! In this doll and experiment activity set, you can make your own glow stick necklace anytime you want, using household ingredients. How cool are these dolls? Not only are they fun to play with, they are teaching young girls important skills. The dolls are fun to play with and are available to purchase from many retailers. McKeyla reminds me the most of myself, so we would choose her. I would love the Camryn Coyle. I really like her style. I like Adrienne Attoms, I think my daughters would really like her. I'd choose Camryn Coyle for my daughter because she seems to be the most like her. Smart and tomboyish. We would chose McKeyla we like her style! Adriene Atoms because she's quite well versed! I like Bryden Bandweth, my daughter would like her. My daughter would love the McKeyla McAlister doll! She also wants to be a writer some day, so it would be a great to have a doll to play with that has the same interests. I daughter is for all things tech, so Bryden Bandweth is definitely her type of doll. I would want McKeyla McAlister for my granddaughter because they are so alike. 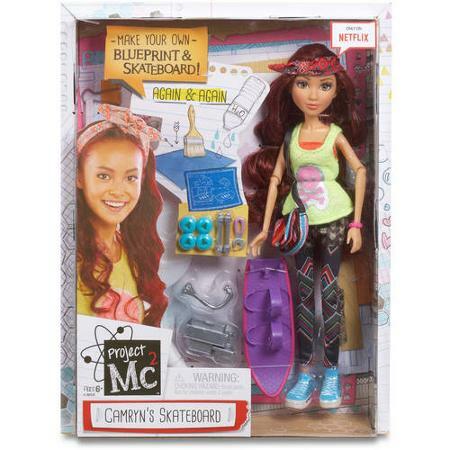 Project Mc2 Camryn Coyle with Experiment Kit – Construction queen Camryn Coyle is the doll i would choose. Camryn Colyle. Because she is edgy like my tittle one. I like Adrienne Attoms. Culinary chemistry is cool. 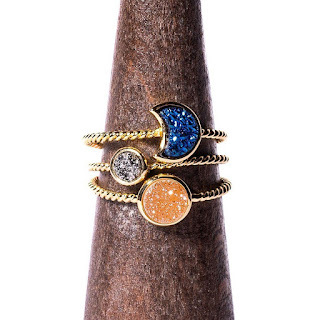 We'd love to have the chance to win Adrienne Attoms. Thank you for hosting. I would have to pick the Adrienne Attoms™ Doll because she has glasses (like certain other young girls I know), though I wish that I could have the McKeyla McAlister™ Doll with glasses. I think my little girl would really love Adrienne Attoms! I'd choose McKeyla because she reminds me the most of the girl I'd want to give her to. My granddaughter would choose Camryn Coyle as my granddaughter has a lot of the same interests. I would choose Camryn Coyle because she is my daughter's favorite on the show!